Maryland ChildCare Education Institute (CCEI) is recognized by the MSDE-OCC Credentialing Branch to provide training for the regulated child care providers in the State of Maryland. For additional information regarding the acceptance of CCEI’s coursework in Maryland, contact the Office of Child Care, Credentialing Branch at 866.243.8796. ChildCare Education Institute (CCEI) is recognized by the Maryland State Department of Education’s Office of Child Care Licensing Branch (MSDE-OCC) to provide training for regulated child care providers. For additional information regarding the acceptance of CCEI’s coursework in Maryland, contact the (MSDE-OCC) at 866.243.8796. A list of CCEI courses that correlates to Maryland’s Core of Knowledge Areas can be found here. 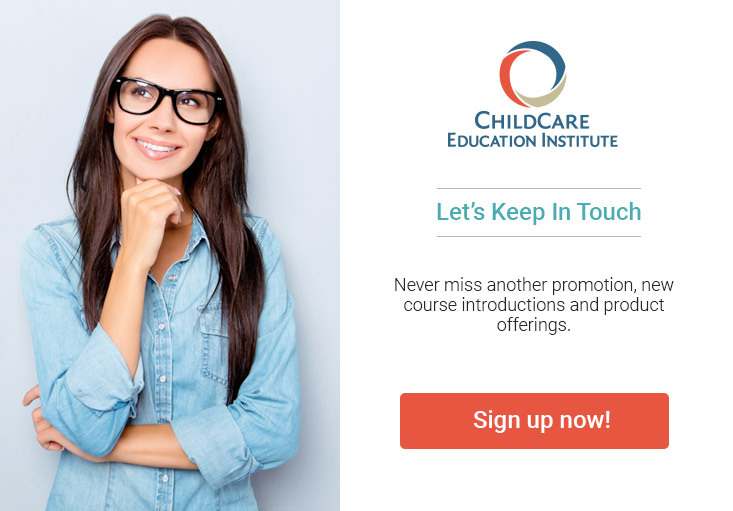 CCEI offers the Communication and Interpersonal Skills Certificate, which provides 9 clock hours of approved pre-service training in communication required to qualify as a director, child care teacher, school age teacher, or assistant child care teacher in preschool and/or child care centers in Maryland.